VGo is now part of Vecna. We’re energized by all the opportunities to be even better, made possible by being part of a larger organization. And the technology and complimentary products developed by Vecna are amazing. We look forward to continuing to serve our customers in healthcare, education and business. Sign up for our mailing list and we’ll keep you posted on all the latest developments. CAMBRIDGE, MA--(Marketwired - Jul 16, 2015) - Vecna Technologies, Inc., a leader in robotic logistics and innovative IT healthcare solutions, announced that it has acquired VGo Communications, Inc., the leader in robotic telepresence solutions for healthcare, education and business. "Vecna and VGo's missions are highly aligned. We believe robots can enhance the quality of life for people everywhere," said Daniel Theobald, Vecna's Co-Founder and CTO. "VGo brings a great product and a large satisfied customer base which is complementary to Vecna's existing product installations in over 500 sites worldwide. Customers from both companies will benefit from adding VGo to Vecna's industry leading portfolio of solutions with applications in healthcare, hospitality, manufacturing, distribution, and education. Vecna and VGo have been partners for years and with this acquisition are positioned to have a major impact in the market." VGo's President and CEO Peter N. Vicars said, "Like Vecna, VGo's mission has been to empower people through robotics. We connect people across great distances, just as if they were there. VGo is extremely pleased about the expansion of the product line and the tremendous opportunities that the merged company is poised to capture." Vecna's mission is to empower humanity through transformative technology. Vecna provides innovative healthcare IT, including patient self-service solutions and robotics logistics solutions to streamline operations, reduce costs, and increase customer satisfaction. Vecna delivers better technology to realize a better world for all. Learn more at vecna.com. VGo Communications, Inc. develops and markets robotic telepresence solutions for the healthcare, education and business. With the VGo solution, an individual's presence is replicated in a distant location such that they can interact and perform tasks in ways not previously possible. Now they can see, be seen, hear, be heard and move around in any remote facility -- just as if they were there. 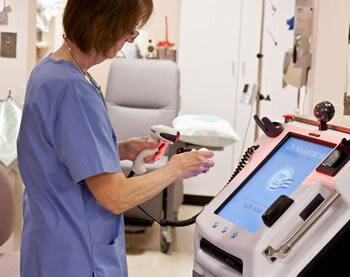 VGo enables: healthcare providers to deliver lower cost services and improved quality of care, businesses to increase productivity of remote and travelling employees, and homebound students to attend school -- all with a great user experience and at an affordable price. Learn more at vgocom.com.